It’s funny…I didn’t become “addicted” to coffee until I became a stay at home mom. I’ve been drinking it since college, but I never had a solid enough morning routine that included a cup of coffee to really become reliant on it. But now that I’m home with my kiddos every day…give me ALL the coffee. 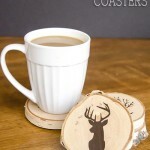 ;-) Of course, as a crafter, it goes without saying that I need a cute/witty/personalized/handmade mug to drink out of. 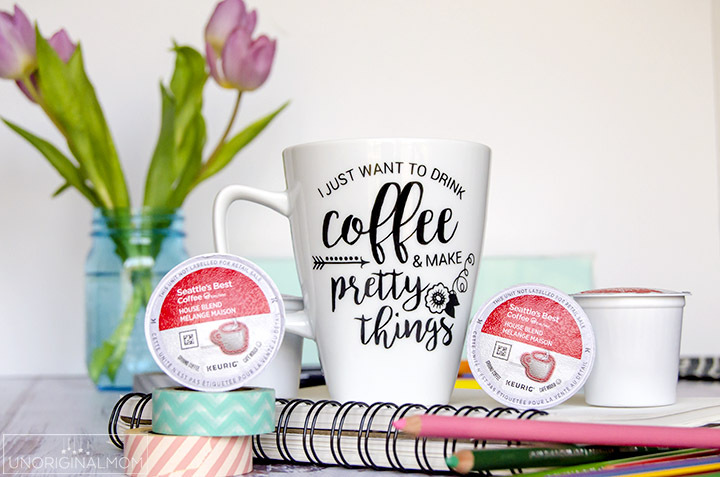 Mugs are pretty much a crafting staple, aren’t they? Well, I’m slightly embarrassed to say that up until recently not only was I drinking my coffee out of generic plain white coffee mugs, I had never even made a coffee mug. GASP. What kind of crafter am I, anyway? 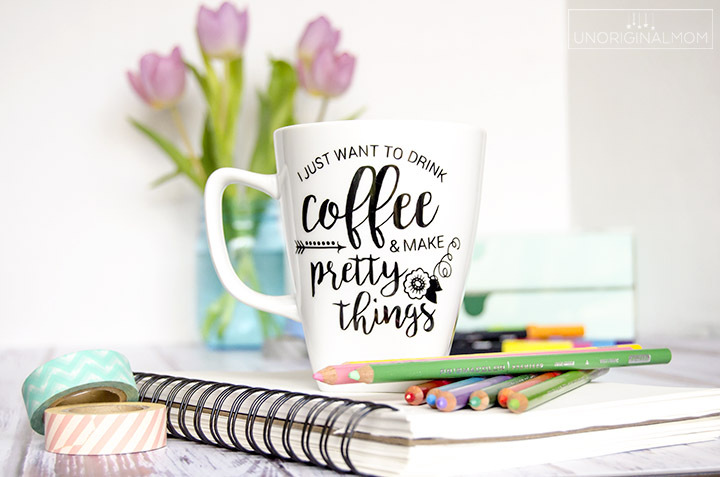 So I whipped up this beauty of a crafter’s coffee mug – an “I just want to drink coffee and make pretty things” mug. What an upgrade, huh? It was really pretty simple to whip this up! I picked up a plain white mug at Walmart, and just used black vinyl (outdoor, which is more permanent and will hold up better to washing) from Expressions Vinyl for the design. After I finished my design, I cut the vinyl with my Silhouette and used transfer tape to transfer the vinyl onto the mug. Voila! 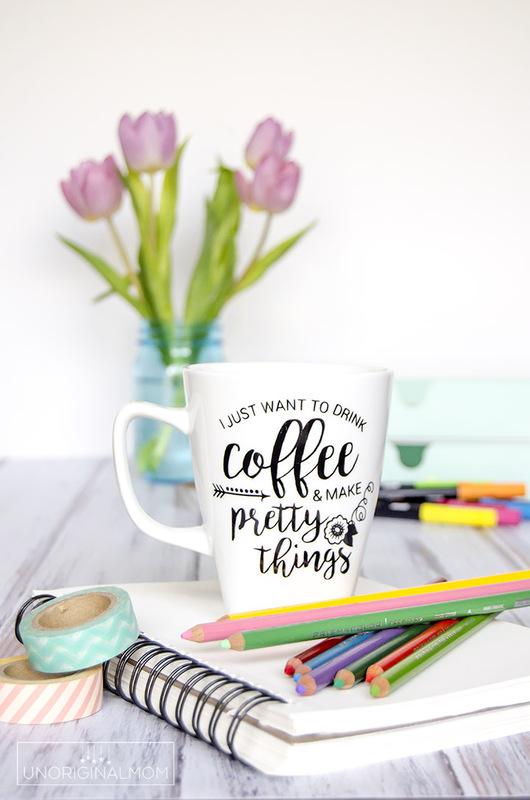 Now I have a cute crafter’s coffee mug! I’ve added this design to my Silhouette Cut File Library, so if you want to make an upgraded mug to hold your upgraded Seattle’s Best coffee, sign up below to get this cut file (and dozens more) for free! Thank you for sharing the cup file. I love it! thank you for this file. I changed Coffee to Tea and made my mug. I’d love to share it with you if you want to see it. It’s fantastic! 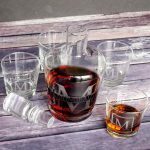 I have issues getting vinyl straight on mugs and glasses, any tips? Are your Silhouette files specifically for Silhouette, or are they “.svg” files that I could use with another machine. I have a Cricut (sad face). 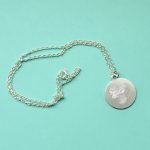 I’ve been browsing around your blog this morning and am loving all of your great ideas. Hi Kristin, they are all Silhouette Studio files. Sorry! It’s on my list to convert them to SVG, but it may be a while until I get to them all! It is very generous to be gifted with free files. 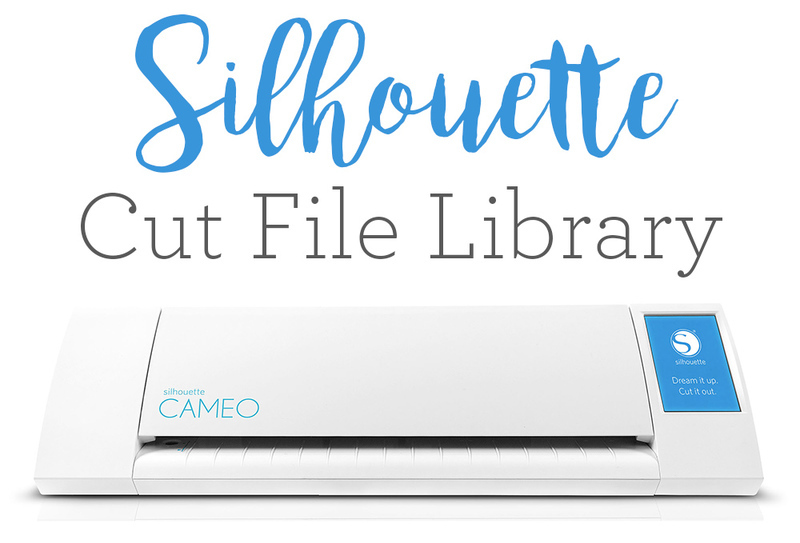 And with a little additional step you can make silhouette studio files usable in other cutting software. 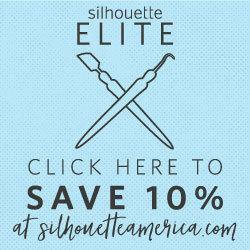 It is an issue with silhouette studio that I think only their business edition allows export of svg. But you can you can easily convert them yourself with a free online converter such as http://www.ideas-r-us-software.uk/FileConverters/SilhouetteStudioConverter.aspx. I am told that that one is pretty accurate. Or if that fails there is another workaround with taking a screen capture from silhouette studio and then tracing it into your design software. Sorry-I meant this for Meredith about Kristin’s comment. Does it work fine in the microwave. Silly question maybe but it’s essential my mug hold hot things and tolerate heat. I have to microwave my coffee at least 3 times every morning and it’s held up fine for me! I love coffee and your design!